CodingisLove was hosted on Openshift online 2 platform for almost 18 months. I was using the free tier of their platform which was really good for a new site. As the traffic increased, I wanted to migrate WordPress to a virtual private server and increase the response time of the site. Also, Openshift announced that their online 2 platform will be shut down by September 30th, 2017 So Its time to move my baby! I already decided to go for Digital Ocean because of their affordable plans and good support. Also, I had 50$ digital ocean credit from a recent Hackathon 😛 So yeah let’s migrate WordPress! I’m using Serverpilot to manage my digital ocean server. You should use it too! It makes things so simple, especially for PHP apps and WordPress. 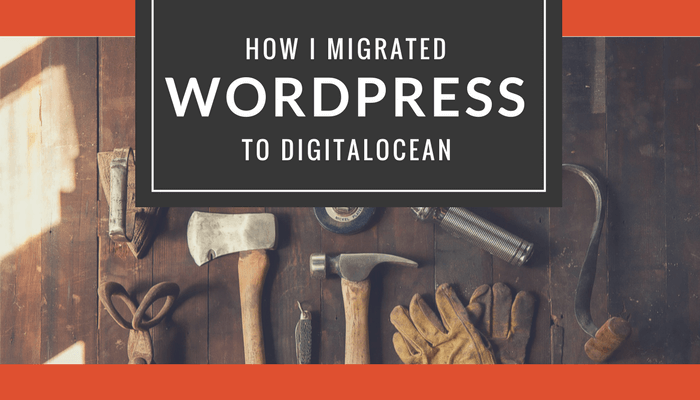 Digitalocean has a One-Click WordPress Installation but If I use that method then only one WordPress site can be used on one server. But I want to use multiple WordPress sites and few other sites on a single digital ocean server. This can be achieved using Server pilot’s setup. Only 3 steps? Yeah but there were few problems 😀 Let’s check it out! This is simple. Just install All-in-One WP Migration plugin. Now go to All-in-One WP Migration > Export from side menu. I’m using a 10$ server which comes with 1GB RAM, 30GB SSD and 2TB transfer per month. This server is ideal for a WordPress site with decent traffic. If your site is still new then you can try out 5$ server too. If your traffic exceeds 500 per day then go for 10$ server. Then select the region closest to your target audience, give a name to the server and hit Create. You’ll get an email with your IP address and root password. We can Serverpilot’s free account for this setup! If you haven’t signedup for Serverpilot then do it using below link. Its free and you’ll get 10$ credit which can be used later if you want to switch to a pro plan. 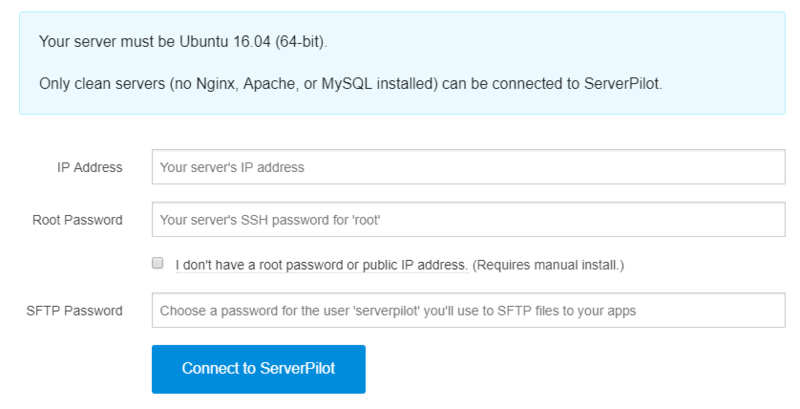 Setting up serverpilot is pretty simple. Just enter the IP address of your server, root password that you got in your Email or actual password if you changed it later. Enter a SFTP password. This is important, Don’t forget this password. Serverpilot creates a user named “serverpilot” with this password. You’ll be using this to SFTP to your server. Serverpilot links your domain to new WordPress installation once you point it to your server’s IP address. But I don’t want to point my main domain to new installation without even migrating or testing it. So I pointed a sub-domain first. I would suggest you do the same. 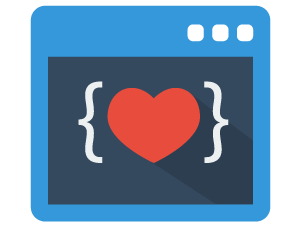 I used new.codingislove.com sub-domain first. Add a new “A” record in your DNS pointing to your server IP address. I’m using Cloudflare to manage my DNS and also to get free SSL (https) for my site and few other features like caching, DDOS protection etc. The above “A” record is same for any domain provider though. Use CloudFlare if you want free SSL. Setup is pretty simple and takes less than 5 minutes. Now you have a fresh WP installation at http://new.yourdomain.com Go to http://new.yourdomain.com/wp-admin and install All-in-One WP Migration plugin and import your site using the previously downloaded file. But I had an issue, My plugins, themes, and media were not migrated! It might be because Openshift has a slightly different setup for WordPress. Openshift has different folder hierarchy. 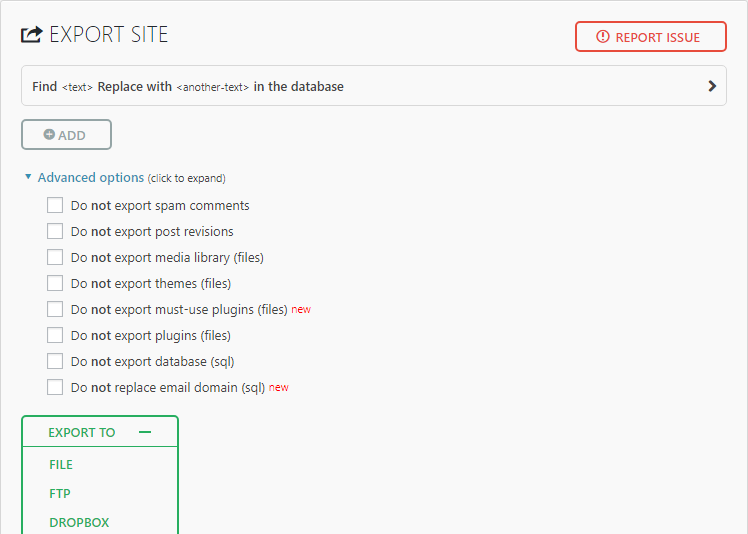 Follow next step if your plugins and themes were not exported. I opened a FTP connection using Filezilla to my old site in openshift and copied plugins, uploads folders from wp-content folder and copied locally. Then opened another FTP connection to my digitalocean server and pasted those folders into wp-content folder. I Did the same with themes but copied only one theme which was the one that I was using. I could have just installed that theme in the new WP site but I had made changes to the theme files itself so I wanted to retain those changes. So the blog migration was almost complete but one plugin was throwing an error, probably because I copied the entire plugins folder. I just reinstalled that plugin and everything’s normal! As you know, I used my sub-domain new.codingislove.com to make sure that everything is working fine before I use my main domain and also to ensure no downtime for existing users. It’s time to point the main domain now. The migration was complete after pointing to root domain! But there was one small problem. Most of my links to https://codingislove.com/* were changed to http://new.codingislove.com/* This might be because I imported old site to new site when new.codingislove.com was the site URL. Aaaaaand Its done! It seems like a long post but the migration was done in just a few hours. It’s totally worth going for DigitalOcean VPS. Faster the site, lesser the bounce rate and dropouts. Also, I hope google search ranking goes up due to optimized page speed! The response time of the site is optimized now! It was 3 seconds on average and now It came done to 500ms. The response time for US users should be even better because the server location is US (US traffic is the highest for this blog). WordPress admin dashboard seems much faster and I’m currently hosting 3 WordPress sites on a single digital ocean server. If you faced any other problems while moving WordPress then let me know in comments below!